Coat mini-muffin pans with cooking spray and line the molds with wonton sheets. Bake at 350°F for 9 to 12 minutes or until golden brown. Combine remaining ingredients plus salt and pepper to taste. 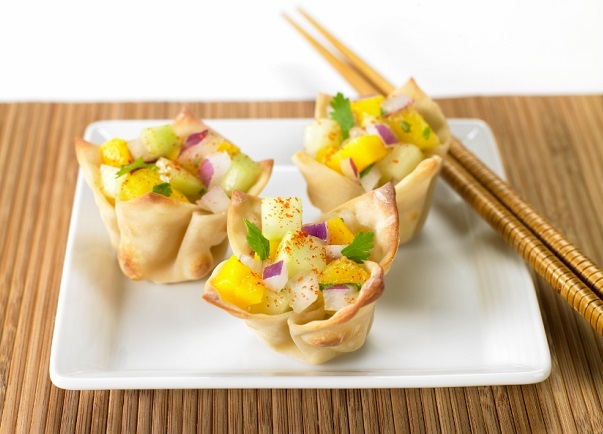 Fill each wonton with salsa and serve.